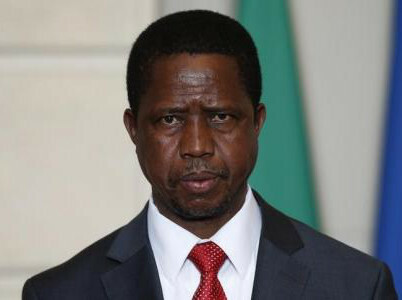 Zambian President Edgar Lungu on Monday swore in Lieutenant General William Sikazwe as head of the armed forces, telling him at the ceremony to remind his officers of the need to respect hierarchy, the Zambian National Broadcasting Corporation (ZNBC) reported. No reason was given for the dismissal of Lieutenant General Paul Mihova. Lungu on December 7 overcame an opposition challenge to win a Constitutional Court ruling allowing him to stand for a third term in 2021. Between July and October he imposed a state of emergency, giving police additional powers including the ability to prohibit public meetings, detain individuals for longer than usual and impose curfews and restrict movements, which the opposition said was meant to intimidate their supporters. Zambia faces challenges in the form of mounting debt and low prices for its commodity exports.